It's always good to catch a promising new band just as they're getting going and on today's update we'll be doing just that as I post a song from the very first demo release by Karkki & The Car Keys. Besides the song you'll find below, there's another 2 tracks on the 3 Hits From Heaven demo cassette, just enough to whet appetites ahead of a proper release (the band will be recording their debut 7" later in the summer). Also this summer (July 27th/28th) is the Hori Smoku Summer Boogalo in Helsinki in which the band will be playing alongside other cool acts such as The Mummies, Marked Men, King Khan & The Shrines etc. 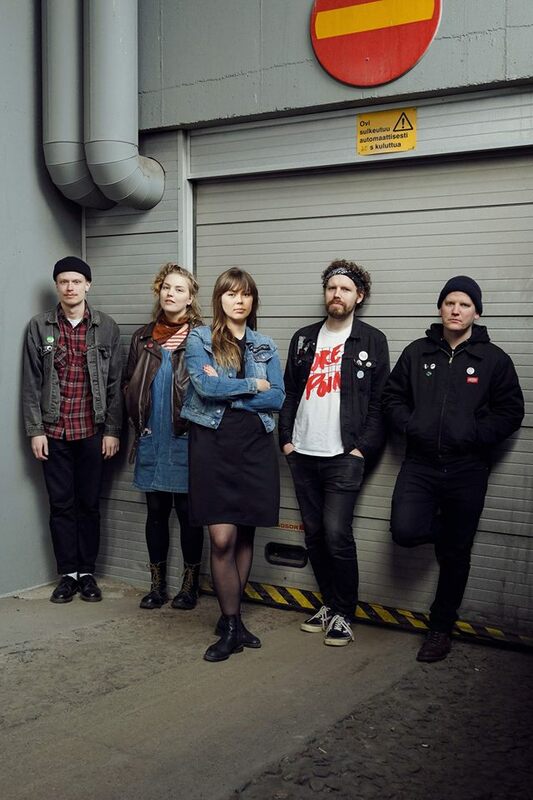 The band are a Finnish 5 piece featuring Jesse from The Everybody Knows on drums (they featured on here a few weeks ago http://justsomepunksongs.blogspot.co.uk/2018/05/the-everybody-knows-hello-hello.html) as well as Candy Lee (vocals). Jok (guitar), Pet (guitar) and Jo (bass). Think power pop, think rock n roll, think Nikki & The Corvettes and you won't be far off.